If you’re bothered by the appearance of fine lines around your eyes, forehead, or lips, talk to our Licensed Aesthetician about BOTOX®.  We're pleased to offer this minimally invasive treatment at Suite 200 Med Spa in the Bryn Mawr, Pennsylvania area to improve our patients’ appearance. BOTOX Cosmetic contains very small amounts of a purified botulinum toxin protein refined from the bacterium Clostridium botulinum. After being injected into the skin with tiny needles, BOTOX temporarily reduces muscle activity in the area leading to a visible smoothing of lines. BOTOX effectively reduces moderate to severe frown lines and “crow’s feet” — lines surrounding your eyes — for several months or longer. Each BOTOX treatment session takes only about 10 minutes. While results vary, those for moderate to severe lines typically begin to appear within 24 to 48 hours of your treatment. Results can then last for as long as 4 months, at which point you can schedule additional treatment for continued results. At that time, our Licensed Aesthetician can also adjust the amount and placement of injections as needed based on an assessment of your results. Why is it called a “lunchtime procedure”? BOTOX is often called a lunchtime procedure because treatments take so little time and require no downtime afterward. In other words, you can have the treatment then get straight back to your usual daily activities -- and probably still have time for lunch. BOTOX injections can cause mild pain or discomfort. Some patients compare the sensation of the needle insertion to a tiny pinch, which quickly fades. If you have particularly sensitive skin or wish to minimize any discomfort you can numb the area with ice beforehand. Dr. Lanchoney can also apply a topical numbing cream to your skin for added ease. Because BOTOX results are based on proper technique, it’s important to have an experienced healthcare professional such as our Licensed Aesthetician do the treatment. This ensures that you maintain the ability to show facial expressions and look like yourself, only with smoother more youthful skin. Side effects are rare from BOTOX treatment, but studies show that about 1% of patients experience eyelid swelling and 3% experience eyelid drooping from the injections. Other potential side effects include allergic reactions, vision changes, dry mouth, tiredness, headache, and neck pain.